Everyone knows the love seat is nothing more than a glorified bench, or a miniature couch. But the fact is it's often a necessary item for city dwellers who lack the room for a sectional. Our design marries the charm and warmth of a Shaker influenced bench, with the comfort of a modern couch. Hand shaved spindles provided back support, and its solid wood construction ensures that the piece will be an heirloom. Available in white oak or walnut, contact for upholstery options. A simple, meditative form for clean living and clear thinking. 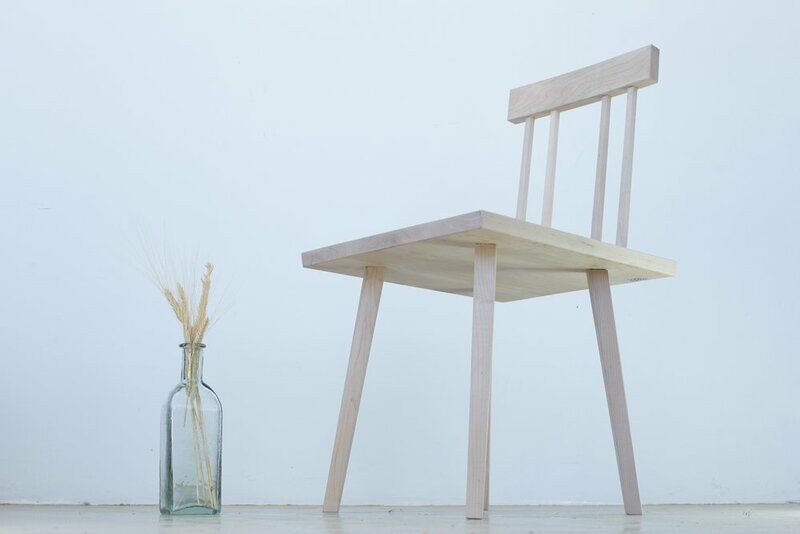 The Tea Bench is humble, yet sophisticated with wedged through tenons, a hand shaved stretcher joining the legs, and a subtle under bevel on the seat. Shown in white oak, available in custom sizes. Inspired by the casual elegance of Scandinavian cafes, with their clean, minimal aesthetic and just enough whimsy to keep things loose, the Sommar High Back was designed to fill a variety of roles. It has the right amount of rustic charm to be at home in a pub, but refined enough to be seated at the dining table. 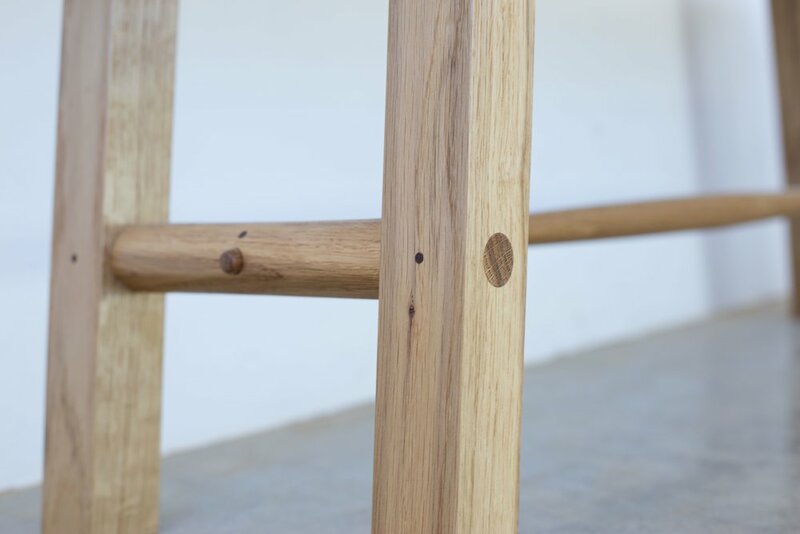 Hand shaved spindles and wedged through-tenons provide rich details and solid form. 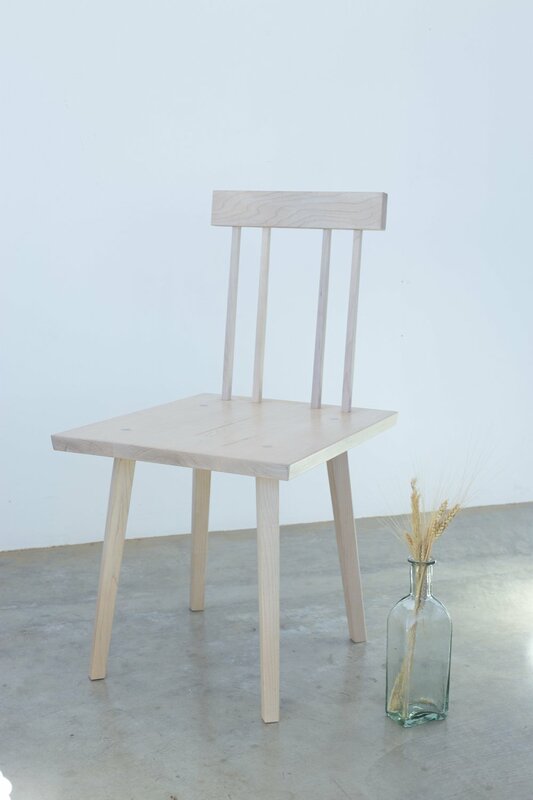 Available in white oak or walnut, finished with Danish oil. The namesake of this piece is an alley one block from our studio, known for its bazaar-like display of stalls hawking clothes and textiles at wholesale prices. The scene is very reminiscent of markets in Central America and, walking through it during breaks from the shop, one feels instantly transported out of the US. 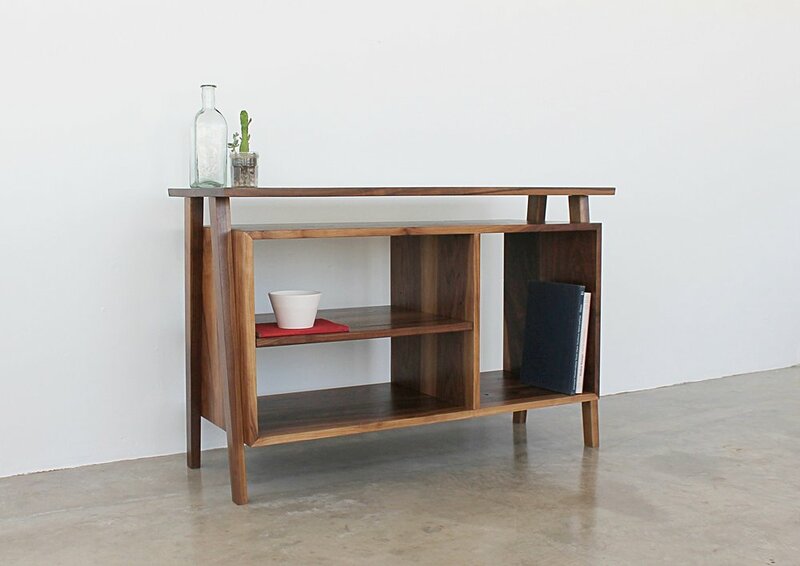 It's a hectic environment, however, and the Santee Sideboard is a meditation on minimalism in answer to the raucous consumerism taking place below. The Sommar Stol is inspired by the casual elegance of Scandinavian cafes. Light, airy, with clean lines defining the space, the northlanders know how to lend grace to the everyday; a space in which to spend a few moments having a kaffe and semla bulle notwithstanding. Initially designed for a client with a Summer home out east, the East End Trestle is made with large dinner parties in mind. It is sturdy yet light, and the base can be broken down should you decide to set it out on the porch for a night or a season. Shown in whitewashed white oak in a nod to the silver toned deck boards lining the many docks of the Suffolk county coast.